Home Deployment Guides Installation PowerShell SharePoint 2016 How to Create SharePoint 2016 Farm using PowerShell? How to Create SharePoint 2016 Farm using PowerShell? Creating SharePoint 2016 farm using PowerShell is almost as same as in its previous version. In SharePoint 2016 there is an additional parameter -LocalServerRole added as SharePoint 2016 introduced MinRoles. SQL Server is already installed and ready to use. You have created a Farm account for SharePoint 2016. You have logged in to the server (Setup account) which has Administrator access on all SharePoint servers and DB_Creator, Security_Admin Server roles in SQL Server. 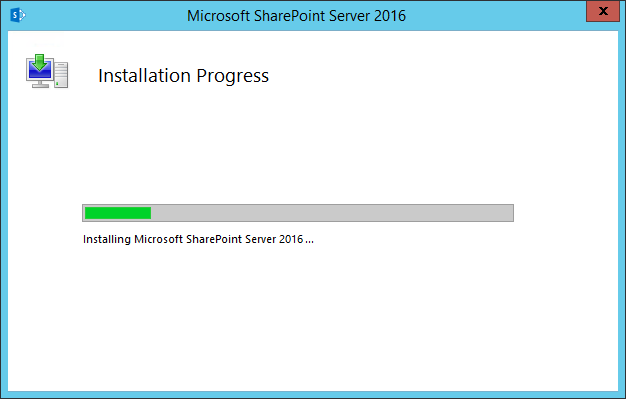 Step 1: Install SharePoint 2016 prerequisites and binaries to each server in your proposed SharePoint 2016 farm. 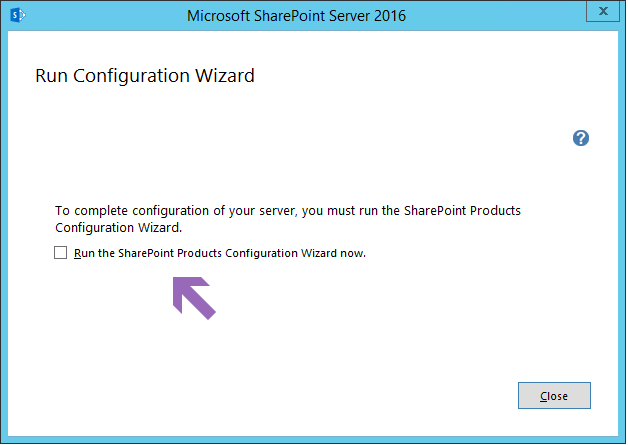 On completing the installation, Uncheck "Run the SharePoint Products Configuration Wizard now" and close the wizard. "The local farm is not accessible. Cmdlets with FeatureDependencyId are not registered." error for the first time, which is quite normal, since we have not created the Farm yet! proceed running the script. Write-Host "Creating Configuration Database and Central Admin Content Database..."
Write-Host "Installing Farm Services ..."
Write-Host "SharePoint 2016 Farm Created Successfully!" Once the script completed successfully, You'll see farm created successfully message. Here I've used "SingleServer" as MinRole. You can adjust it based on your requirement. Alternatively, You can create SharePoint Farm (Run script til line#15) and then Run Products configuration wizard to complete the rest of the steps in farm creation. 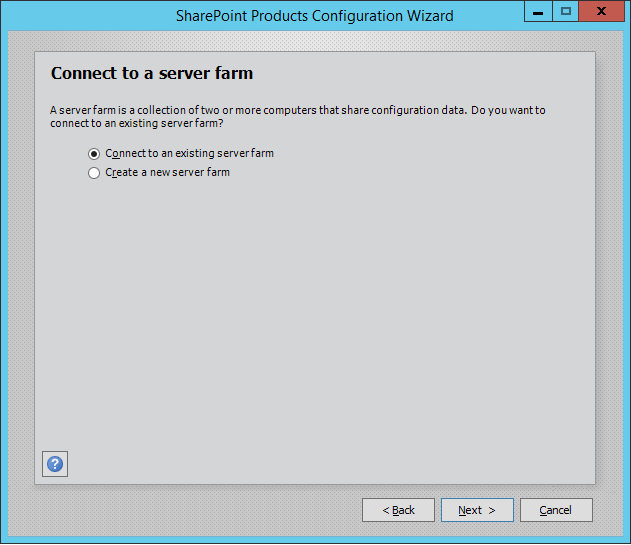 Once you are done with the creation of the SharePoint 2016 farm from first server, You can connect rest of the servers to the Farm either using SharePoint products configuration wizard or with PowerShell. Open SharePoint products configuration wizard and choose "Connect to an existing server farm" and run through the wizard! Select the server MinRole as per your topology. If you prefer PowerShell way to add an additional server to the farm, use this PowerShell script. Write-Host "Joined the Server to Farm Successfully!" If you don't want the server to host Distributed cache, use the parameter: -SkipRegisterAsDistributedCacheHost and the end! Thank you so much for sharing this script. Its pretty clean and neat, I'm able to pickup although I'm new to SharePoint. Kudos. I ran the script and get cannot bind parameter 'passphrase' cannot convert the value of type system.string to type system secure string? the under Get-farm a positional parameter cannot be found that accepts argument if? Use $Passphrase instead of "$SecurePassphrase"
Disable Internet Explorer Enhanced Security and Add a Full control Policy to your SP_Admin Account!